Even life on the go has its stops. 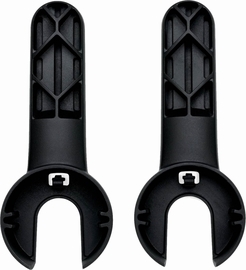 Bugaboo is making them easier with the new Bugaboo Stand. The lightweight, stylish steel stand lets you convert your Bugaboo Cameleon3, Bugaboo Buffalo and Bugaboo Donkey into both a stationary bassinet and a high chair with ease and reliability. No more bulky cribs or high chairs to tote along - the Bugaboo Stand turns your stroller into the only product you�ll need on the road. Being mobile has never been so simple. Weighing only 5.7 pounds, the Bugaboo Stand folds up compactly for hassle-free transport and comes with its own shoulder carrying bag for easy toting. Once at your destination, the stand easily unfolds into a sturdy base that attaches to your Bugaboo bassinet or seat with a set of easy-to-use adapters, while an integrated basket underneath stores all of your feeding and sleeping essentials. The Bugaboo Stand allows your child to sleep in the bassinet he or she already loves: a familiar product; one that your child is happy and comfortable sleeping in, making overnight stays relaxed and hassle-free. The lightweight stand allows you to carry your sleeping child from the stroller to his/her bedroom without interrupting restful moments (while leaving dirty wheels at the door, where they belong). 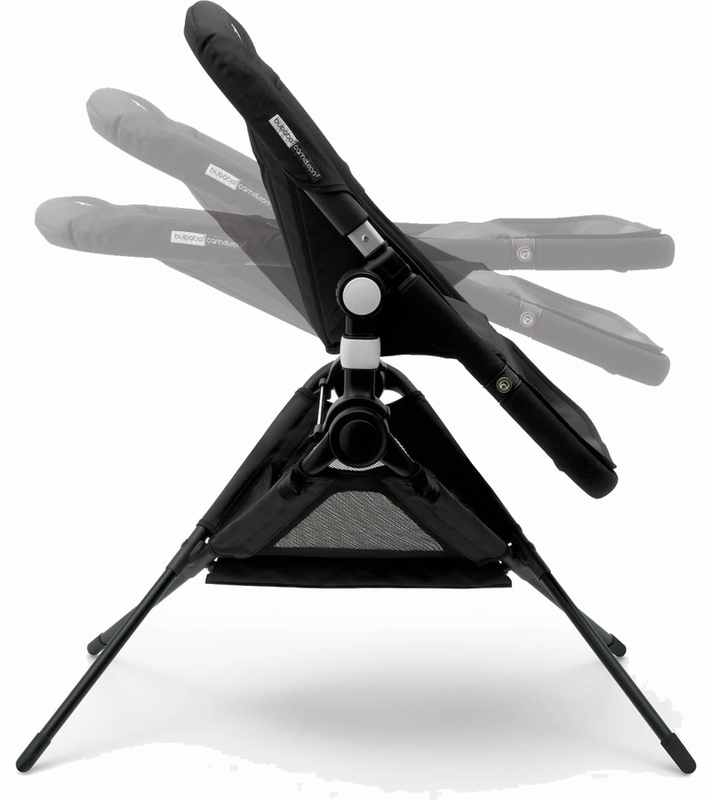 A true game changer, the Bugaboo Stand replaces yet another product that you won�t need to purchase. It is the embodiment of smart design at an extraordinary value. Used as a high chair, the Bugaboo Stand allows you to adjust the seat in three positions to perfectly place your child at the table. 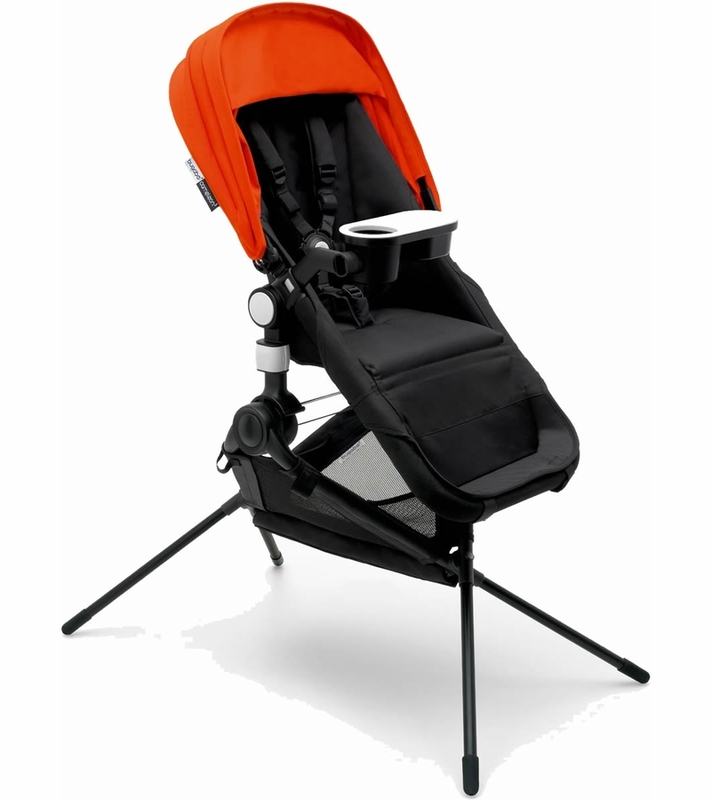 With two reclined positions, you can even use it to help your child get some rest. 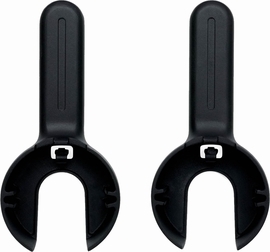 It�s ideal for children younger than 8 months who aren�t able to support themselves in an upright position, making most restaurant high chairs unusable. When used in combination with the Bugaboo Stand, your stroller gives you a hands-free dining out experience where even all the needs of your youngest child are met. 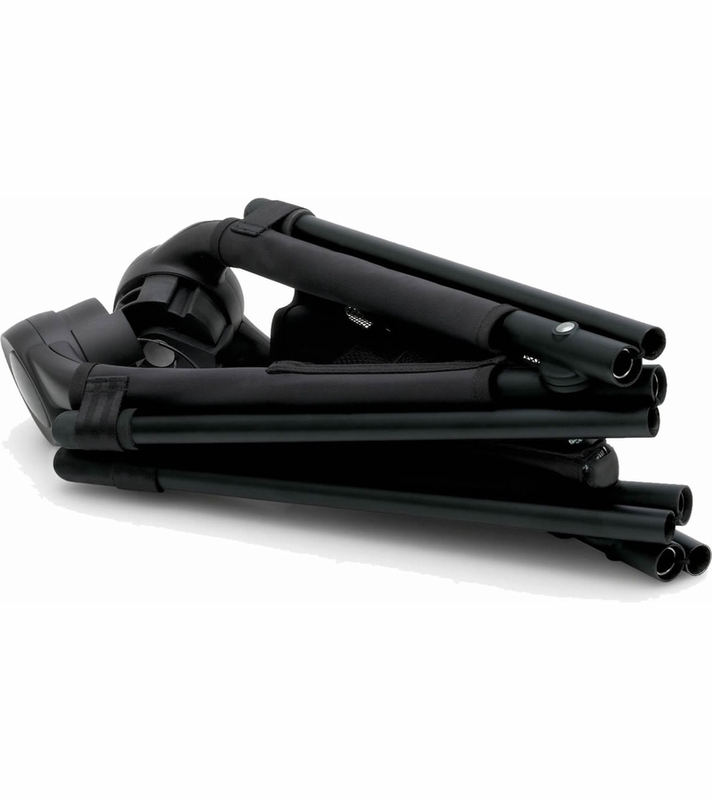 The Bugaboo Stand is compatible with the Bugaboo Cameleon3, Bugaboo Buffalo, and Bugaboo Donkey bassinets and seats. 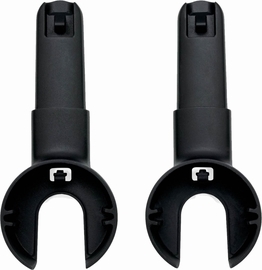 Each stroller model requires a different set of adapters. 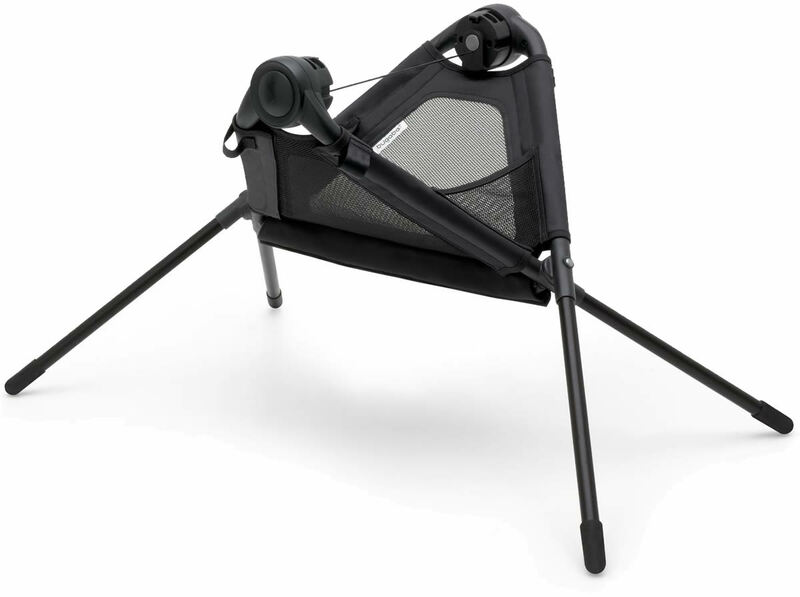 Extends the use of the Bugaboo stroller by creating a bassinet stand and high chair. A sleep, rest and dinner solution, at home or on the go. Stable horizontal bassinet station that can be used for overnight sleeping. 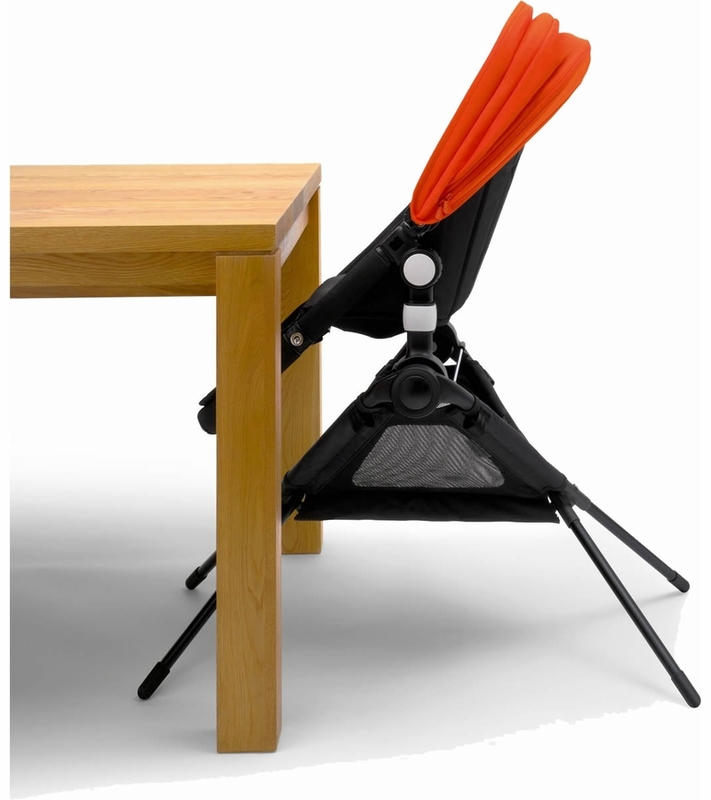 Multi-functional seat positioning including high chair use. Integrated storage basket for small goods or toys. Quick and easy unfold system. 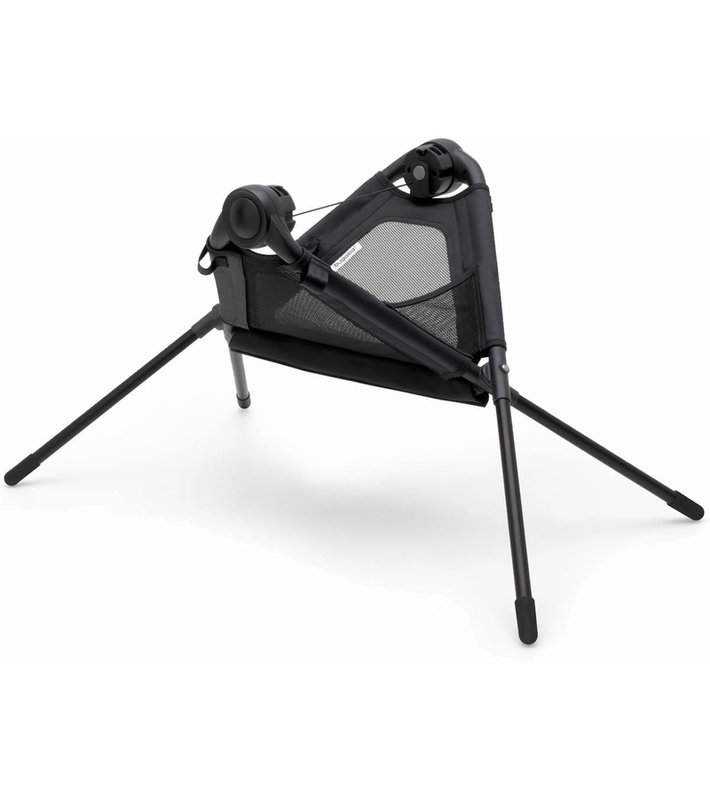 The Bugaboo Stand in combination with the bassinet is suitable from birth up to 20lbs. 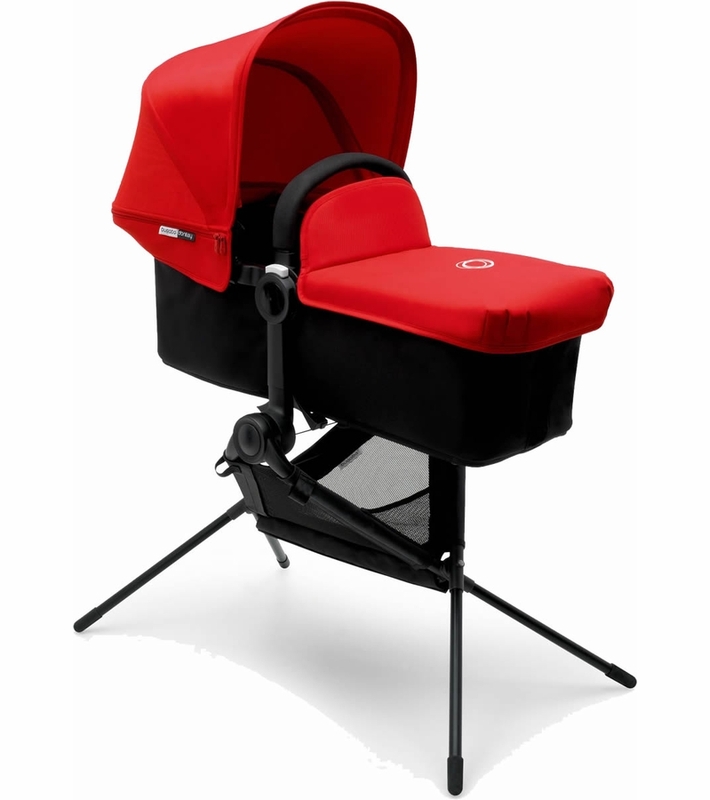 The Bugaboo Stand in combination with the seat is suitable from 6 to 36 months (37.5lbs).